In search of recipes to reinvent I often ask my friends and family which dessert would they like to see me doing next? 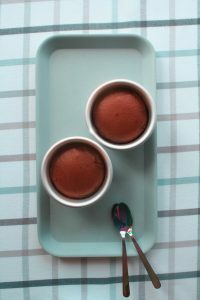 The answer is the same every time “the chocolate fondant”! So I figured out it was time to make their wish come true 😊. 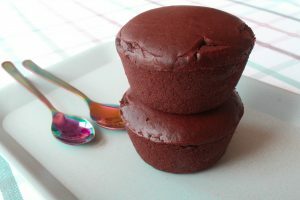 When going over my list of desserts I wish to make vegan, the chocolate fondant is atthe bottom place! It certainly does not deserves such a position! 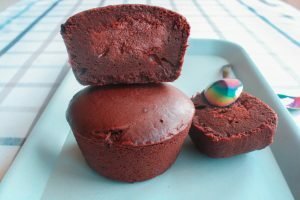 I am left wondering how am I going to make a chocolate fondant that has none of the milk, butter, eggs and refined sugar but still has all the features that you would expect in a chocolate fondant ? Well, the answer is right here, in this recipe! 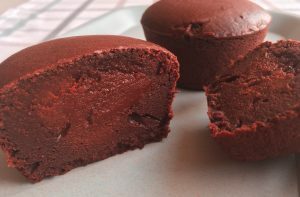 I am so excited to share one of my favourite recipe, even happier because it makes me feel good both inside (you know the power that chocolate has, this feel good sensation it instantly gives your mind) and out (dairy free, low in fat, refined sugar free and gluten-free too.). When choosing your chocolate, be sure to select a good quality dark chocolate. It is the main ingredient so getting it right is essential! Everybody reacts differently to different flavours, but I personally like to use a dark chocolate with 70% cocoa minimum or sometimes even higher, that’s because I love the bitterness of it. It is also important to check out the composition of your chocolate, you want to have the cocoa solids and cocoa butter in the first ingredients listed (the latest being too often replaced by palm oil so keep an eye!). 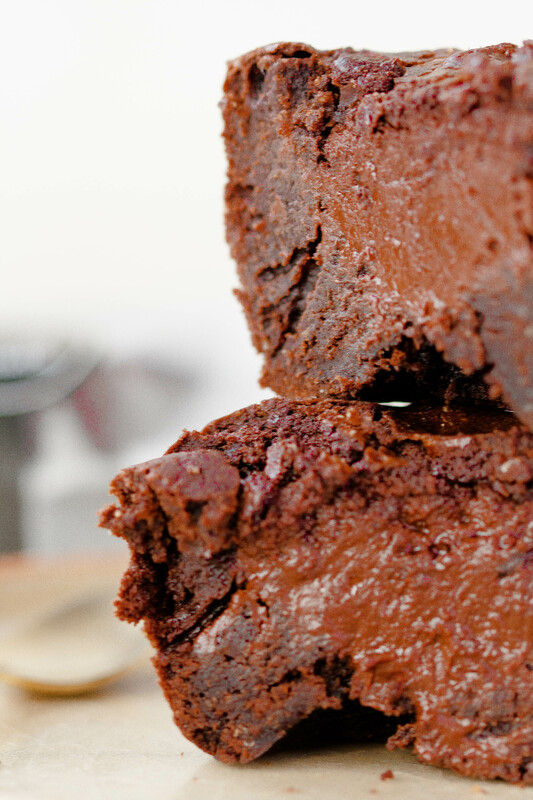 Grease your pudding moulds and preheat the oven to 180°C. Chop the chocolate in small pieces, place in a bowl over a saucepan of simmering water (careful that the bowl does not touch the water as this could burn the chocolate) with the soya cream and almond butter (optional). Stir from time to time, once the chocolate is melted, turn off the heat but leave the chocolate over the bowl so that it stays smooth and runny. In a large bowl mix together the cornflour, cocoa powder, baking powder, sugar cane and salt. Next, add the dairy-free milk and melted coconut oil. Stir until thoroughly mixed and the batter is smooth. Pour 3 tbsp. of the batter into each mould. Then add half of the melted chocolate mixture on top, trying not to cover the entire surface of the batter with chocolate but the centre only. Finish by pouring the rest of the batter. Place in the oven for 20 min. When ready, take the tins out of the oven and cool on a wire rack for 5 - 10 minutes.